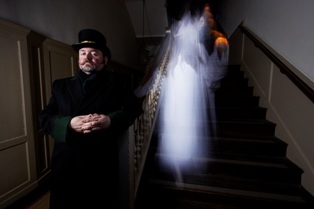 Hampton Court Palace, one of six palaces cared for by independent charity Historic Royal Palaces, is now offering private evening ghost tours throughout the winter months for clients seeking a spine-tingling unique experience. Accommodating up to 30 people, the private tours explore the 500-year-old palace by night, enabling guests to delve into the site’s spookiest stories. 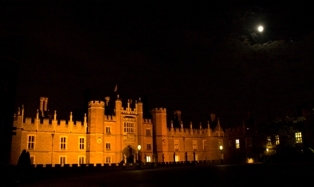 Guests will experience the unique atmosphere of Henry VIII’s apartments, and even creep down the infamous Haunted Gallery on their own – if they dare. Jo Jennings, Events Manager at Hampton Court Palace, said: “As one of Britain’s best-loved palaces, clients may well be familiar with our surroundings in the daylight so it’s a fantastic opportunity to witness the palace by night. We love seeing the faces of our guests when they encounter the unexpected – each tour is an entirely unique experience! The tour costs £2,000 +VAT for up to 30 guests. For more information on booking a private ghost tour, contact the Hampton Court Palace events team on 020 3166 6507 or hamptoncourtpalaceevents@hrp.co.uk.